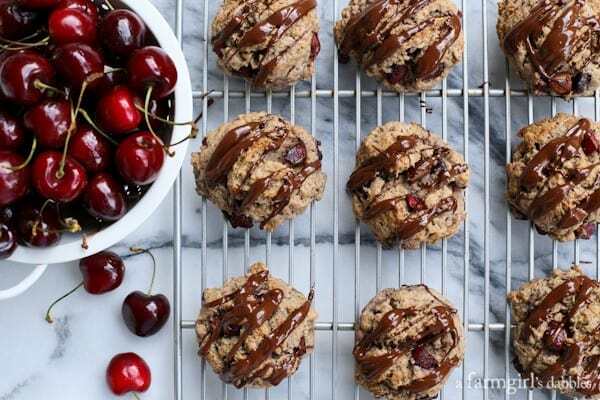 Studded with chunks of plump, sweet cherries, these Dark Cherry Scones with Chocolate-Chili Glaze are a delicious summertime breakfast and brunch treat. Have you been indulging in the wonderful sweet, dark cherries that have been available lately? All the glorious fruits of summer keep my sweet tooth satisfied in the most beautiful way. And cherries are such a special treat. 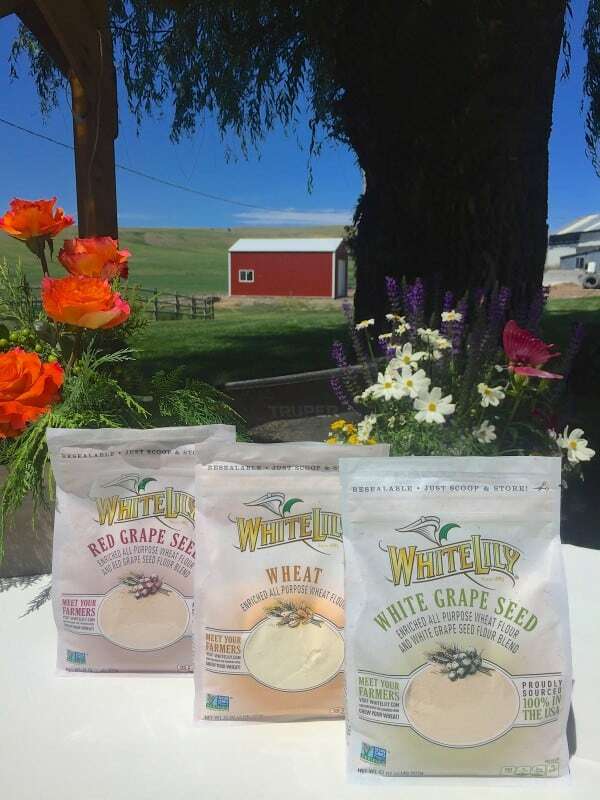 I recently took a short trip out to Spokane, Washington with White Lily, to get a formal introduction to their new line of premium flours. White Lily is a brand from the south, one that we don’t normally see here in Minnesota. 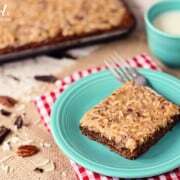 But I was familiarized with their products and people a couple years ago in Nashville at their Southern Baking Retreat. And I’ve been a fan ever since. Their biscuits are out of this world good! So when White Lily asked me to check out their new line of premium flours (one with red grape seed, one with white grape seed, plus an all-purpose wheat), I couldn’t resist. 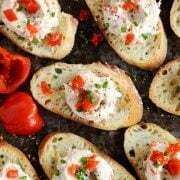 Over the following year, I’ll be sharing more about these new products along with some new recipes. Stay tuned for more White Lily deliciousness! * For more about my trip to Spokane, be sure to read to the end of this post. I used the White Lily flour that is blended with red grape seed for this recipe. 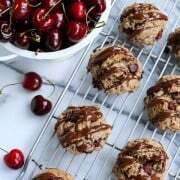 This unique flour is naturally inclined to pair with the rich flavors of dark cherries, bittersweet chocolate, and chilis. The flour is a bit purple-hued, colored naturally from the red grape seeds. 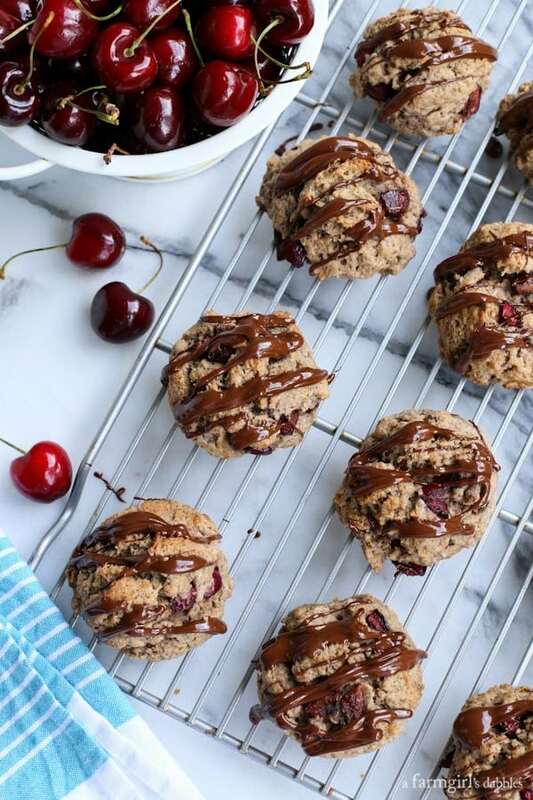 This gives the dark cherry scones a beautiful color when baked, so pretty with the chunks of red cherries peeking through. And then, as if these scones needed any more help in the delicious department, they are jazzed up with a drizzle of bittersweet chocolate and chili glaze. It’s just the loveliest thing. Our daughters have been seeking out that hint of chili at a local fancy-dancy cupcake shop, and they always like when I make my chocolate cake with chili-chocolate buttercream. I knew this chocolate glaze, flecked with ancho and chipotle chili, would appeal to them. I was so right. These scones always disappear fast! In a medium bowl, stir together flour, baking powder, baking soda, salt, and sugar. With a rigid pastry blender or two knives, cut in butter until mixture resembles coarse meal. Make a well in the center, and then add buttermilk, vanilla, and egg. Stir just until combined, taking care to not over mix. Gently fold in cherries, just until barely combined. Lightly flour your hands and gently knead the dough a couple times, right in the bowl, to completely bring the dough together. Take care to not over work the dough. Using a large scoop, transfer dough to prepared pan, dividing into 12 equal portions. It works best to slightly compress the dough into the scoop using the side of the bowl, so the dough is compact. 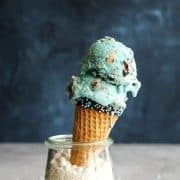 With the scoop I use, I create a big rounded scoop that slightly overfills the scoop. Transfer dough scoops to prepared baking sheet. Bake until scones are puffed and golden brown, 14 to 16 minutes. Remove pan from oven and let scones sit on baking sheet for a couple minutes before removing to a wire rack. Once the scones have cooled, prepare the glaze. In a small microwave-safe bowl, gently heat the chocolate to melt. Take care to not scorch the chocolate. Stir until smooth, and then whisk in the powdered sugar, ancho chili powder, and chipotle chili powder. With a spoon, drizzle the chocolate-chili glaze over the scones. Serve immediately or once the glaze has set. Scones are best eaten on the day they are baked. 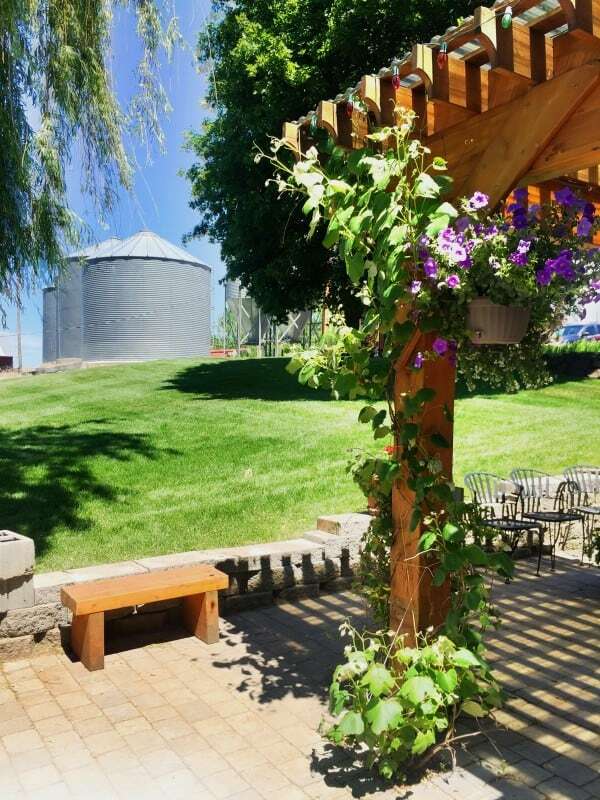 The temperature in Spokane rose into the 90’s as we pulled into the nearby farm yard of Fred and Vicki Fleming just a few weeks ago. Fred is proud to be a 4th generation farmer living and working from a homestead that dates back to 1888. 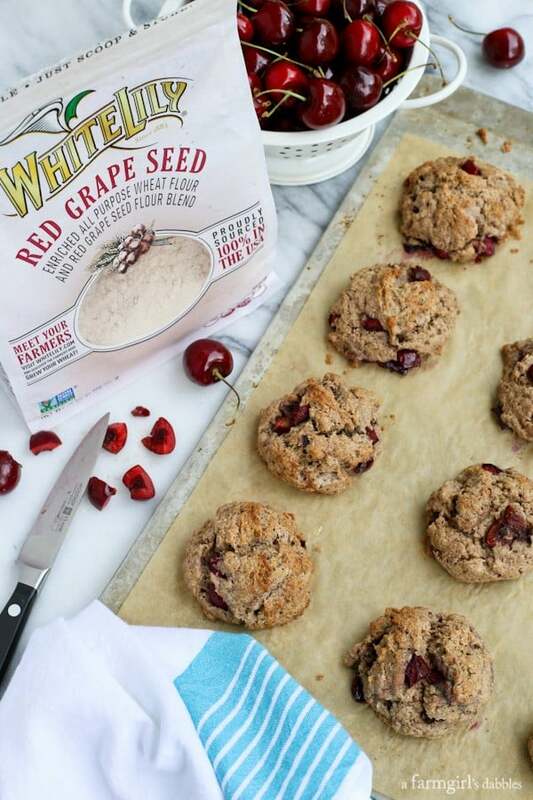 He is one of the co-founders of Shepherd’s Grain, a small-ish group of passionate family farmers, and has teamed up with White Lily to produce wheat for their new line of premium flours. Although the heat was not in my normal comfort zone, it really was a lovely day. There was a breeze, plus we had the protective shade of mature trees to cast down their shadows, creating the loveliest scene on this lush farm land. 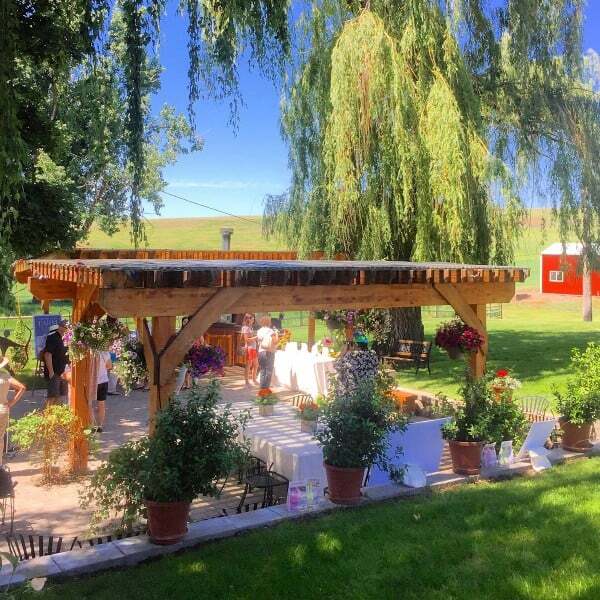 Fred and Vicki’s patio was gorgeous, set up perfectly for entertaining. 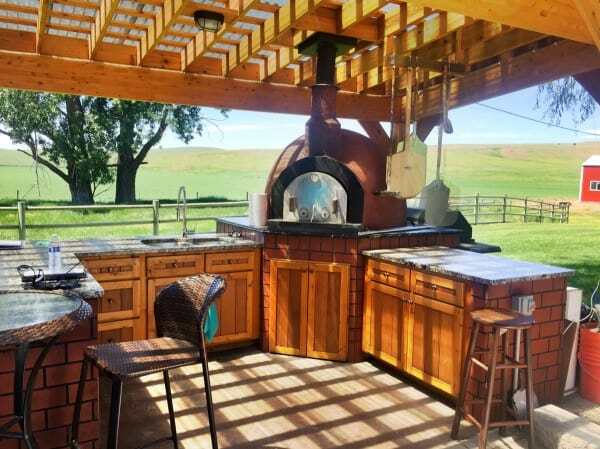 Complete with a covered outdoor kitchen and pizza oven that overlooked sprawling fields and pastures, it was like something out of a dream that I could have written my very self. 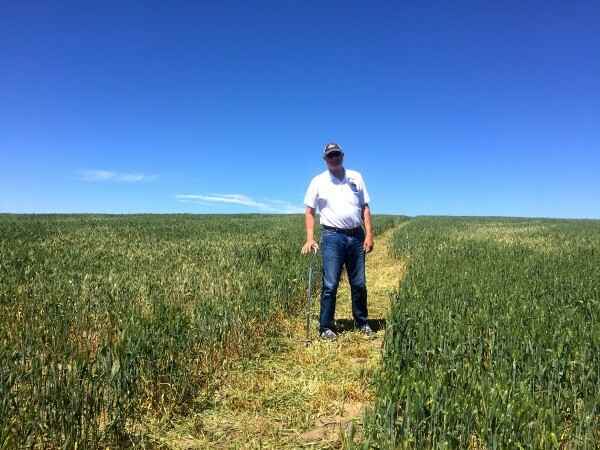 Fred took us out into his wheat fields, happy to show us what Shepherd’s Grain looks like up close, and to answer our questions about the no-till farming practices he has adopted for his land. 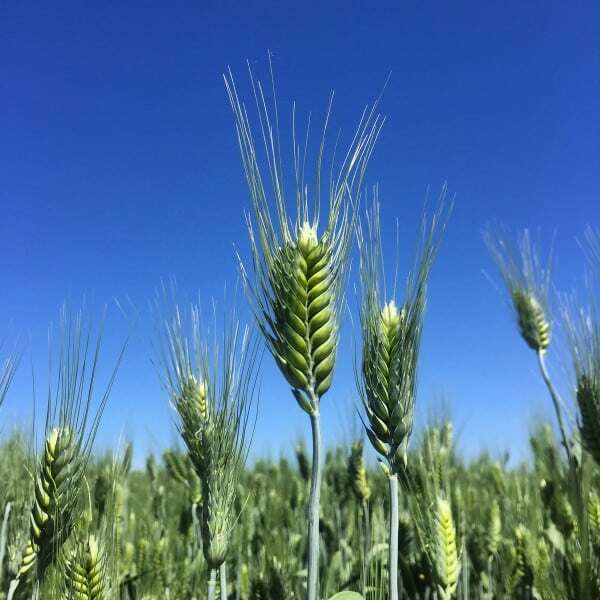 With 21 different farmers growing hard red winter wheat for White Lily’s flours, all with the same practices, they make a solid team. I especially loved to hear how pro-family farm they are, proud of the fact that the average age of a Shepherd’s Grain farmer (45 years old) is much lower than the national average and continues to trend downward. It had been a great many years since I had walked out in the middle of a wheat field. I remember riding on the open-air swather with my dad when I was young, as hot and sweaty and dust-covered as you could ever imagine, harvesting wheat. So many people talk about the beautiful amber waves at harvest time. And I have, too. But I think that the plump and thriving green is also strikingly gorgeous. 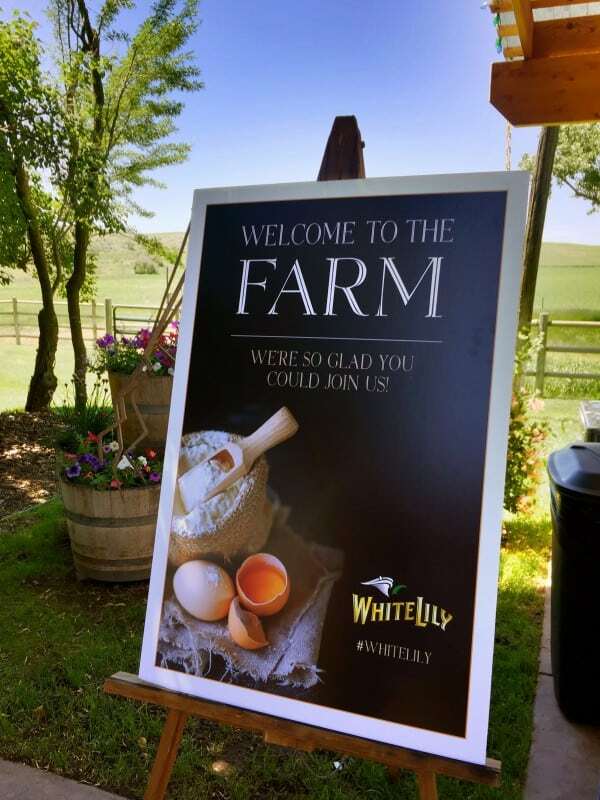 Up until now, consumers outside of the southeast portion of the United States haven’t had the ability to purchase and experience the incredible White Lily brand. But these new premium flours will be sold nationally. They are now available through the Smucker’s Online Store and will soon be available in stores nationwide (including Target!). These flours can be used for both sweet and savory recipes, with a cup-for-cup replacement to traditional all-purpose wheat flour. I really like the packaging. Consisting of a velcro-like resealable 2-pound bag, they offer ultra convenience for the pantry. And if you go to the White Lily website, you can type in the code from your bag to trace your wheat back to the farmer who actually grew it for Shepherd’s Wheat. Not enough credit is given to our nation’s farmers. I think this is pretty cool. And if you’re wondering where the grape seeds come from, they are sourced from Whole Vine Vineyards in Sonoma, California. 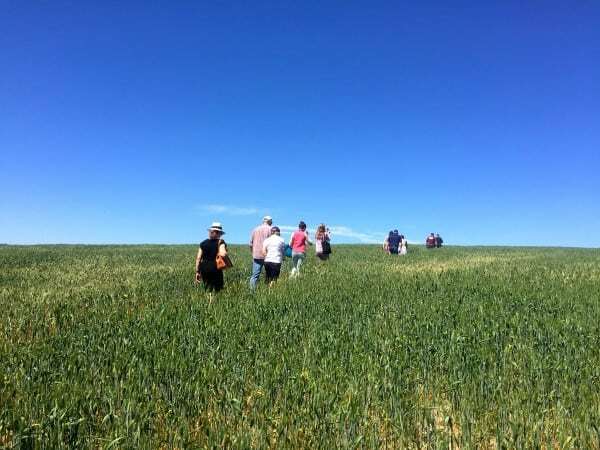 At this unveiling of the new flours during this farm tour in Spokane, we were able to see and taste the slight variations in color, flavor, and texture in several recipes. One bread recipe was even made three separate times, each time utilizing one of the different flour blends, so that we could compare. It made all of us excited to get back home and bake! Disclaimer: I am honored to partner with White Lily in the upcoming year to share about their new line of premium flour blends. This post is sponsored by White Lily. Thank you for supporting a farmgirl’s dabbles and the brands we so carefully choose to work with. All opinions expressed are our own. How did I miss these? 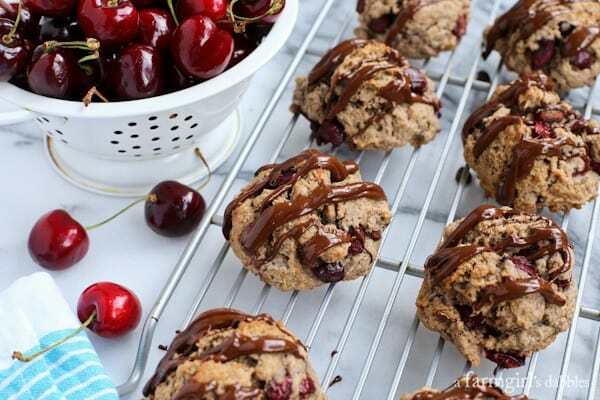 Chocolate & Cherries!!! Yum! So clever! These sound SO good! What!?!? A chili glaze!?!? Shut the front door! Being from Northern Michigan I appreciate anything with dark cherries, but you have just taken the cake my friend. These scones look fantastic! These are gorgeous summer scones and I’m loving the spice in that chocolate glaze! We love our White Lily Flour here in the South ; ) And cherry with chocolate and chili. Yes please. Made these tonight and they were a hit. Used regular AP flour because that was all I had. I highly recommend saving a couple whole cherries to dip in the extra glaze. Glad you enjoyed Spokane. Spent 4 great years there in college (Go Zags! ), some great people up in the inland northwest. dang! South Dakota is one of the two states I have left for liscence plate bingo. I love the White Lily flours!!! and love these scones! gorgeous! I must try those flours when I see them. I love how you added a bit of heat to that glaze! These scones are irresistible! What an amazing trip! SO fun to follow along with you :) And these scones? LOVE the addition of the fresh cherries. Pinned. Thank you so much, Lisa. Hope you’re having a great summer! Oooh, I love that glaze! I’ve never baked with White Lily but now I want to!! These look so good. Their products are really, really nice. I hope you can get your hands on some! Rustic. Ha. That makes me smile. Definitely a nicer patio than the SD farms of my childhood, too. :) Hope you can find these flours! One of my all time favorite things are chocolate and cherries! Your scones sound delightful! Thank you so much, Donna. I hope you’re having a great summer! Love these scones!! I’m totally enamored with dried cherries right now, I want to put them in everything! Wow does that flour sound interesting! I am going to seek it out. I have always heard about White Lily, but it hasn’t been a western brand. So happy to hear it is going national. Thank you so much, Dorothy. And I hope you’re able to find some White Lily flour! Sweet. Where is she from? Thanks, Tieghan. White Lily knows their flours!